Finalized top grade balance with fleshy bamboo and experienced craftman as Doubari / Thin top. From High school students to High Dan Holder(Sensei). Finalized excellent feeling of Grip (Tsuka). The feeling hit makes you next hit. From Students to Adult. Good for Match. Sharp feeling you can get as soon as you grip. From students to Adult. Good for Match and Practice. Waza or Saijo Seibu for practice. Zen or Seibu Bessaku for Match. With the Jissen Gata Shinai series, you can feel the shinai being more light than the real weight. A skill which only our crafts man can acheive. 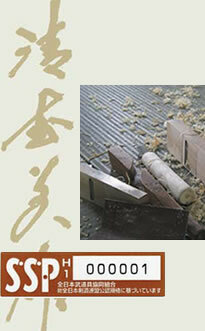 This shinai is create for those who prefers a short grip Jissen Gata Shinai. Doubari type for wide range of people with valuable price. Finalized like name (Sae means brilliance/speedy) which speedy feeling. Good for even smaller hands player. This is loved as Jissen style. Good for practice and match. Best fit for high grade Dan holder who loves Koto style. Pruned away considering whole balance. Not like Jissen style. Symmetried Koto style on whole Shinai. Keeping Tsuka large and sharpe tip. Using freshy and massive bamboo. Like Doudanuki, wide range of people loved as thick Tsuka. Oval type Tsuka is like Nihon-to(Real Japanese Sword). Easy to swing. Choiced quality of large and oval grip. Bigger Haribushi compared to Normal Oval Grip(Light tip). Good balance. For experienced High Dan holder. Due to make larger Doubari with Oval Grip, gravity point moved to tip. Oval type Tsuka is like Nihon-to (Real Japanese Sword). From child to common player. Usually for beginner to grip Shinai correctly. Bigger tip compared to existing Normal one. This style is standard Doubari style. For someone who think Jissen Gata is too light to hit. Made by superior bamboo compared to Namisei. Standard Shinai. Most common used one. Good for practice. For child to adult. Like the Namisei, the Normal (Short Grip) (Kizuna) shinai is well balanced, and well suit for anyone who is new or experienced with Kendo. This shinai has a shorter handle for those who have slightly shorter arms and hands.